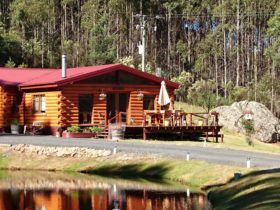 Carinya Farm Holiday Retreat near Sheffield offers two self-contained, open-plan chalets set in a peaceful country setting. ‘Van Dyke’, a one bedroom chalet, is a perfect romantic hideaway for couples. 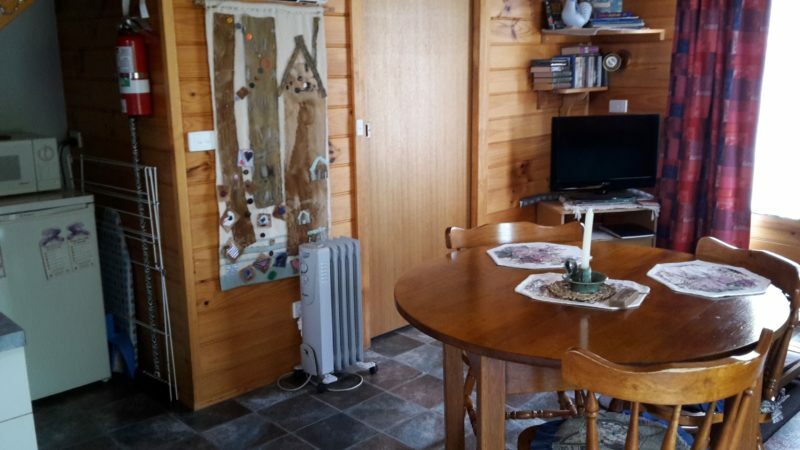 ‘Roland’, a two bedroom chalet, is perfect for family or friends get together with twin beds downstairs. Both loft master bedrooms feature queen size beds taking advantage of the view of nearby Mt Roland. 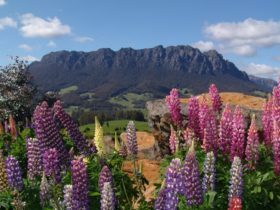 Uninterrupted views of the mountain by day, spectacular starry kaleidoscope by night! Both chalets decorated with hand-crafted crafts and art. Prepare your evening meal or breakfast in fully equipped kitchen. 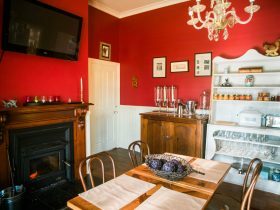 Enjoy plunger coffee, home made bread and jam along with fresh farm eggs if girls are obliging, complimentary to our guests. 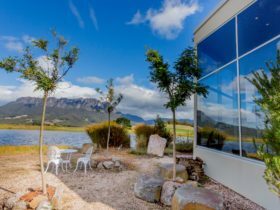 Enjoy your stay with the fun of the farm at Carinya’s rural tranquil location, just a seven-minute drive from Sheffield’s popular attractions and amenities. Find extra gastronomic delights or stroll around the famous Murals. 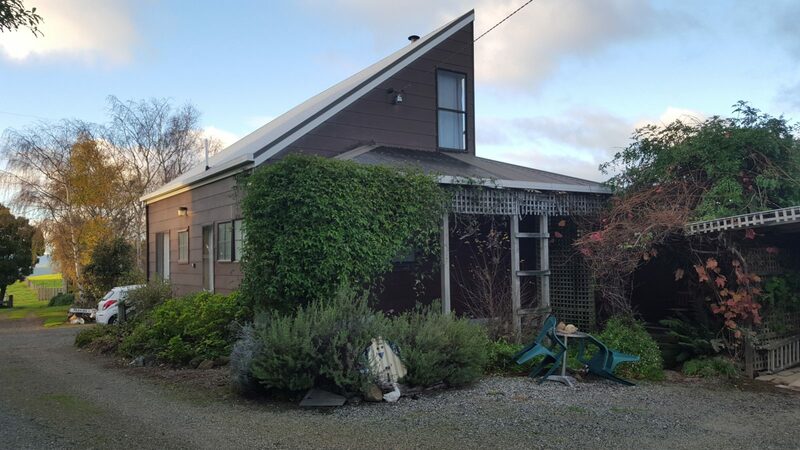 Visit nearby Lake Barrington, Devonport, Latrobe or Deloraine. 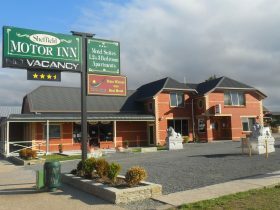 Conveniently located to Cradle Mountain, Mole Creek Karst or Narawntapu National Park. One-hour drive from Launceston. Perhaps we can assist with the planning for another glorious day or just come and stay at home, curl up with a book and enjoy the peace! Open plan layout with downstairs kitchen and dining area, bedroom with two singles and bathroom. Upstairs loft bedroom with queen size bed and mountain views. Couch is adaptable for extra guests if necessary in living/kitchen area. 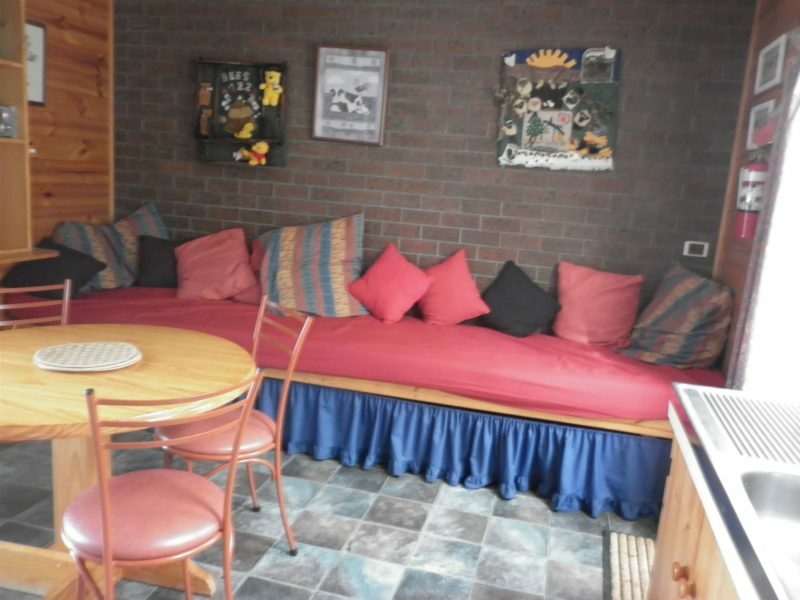 This cosy chalet with a loft bedroom upstairs is a perfect romantic hideaway for couples. 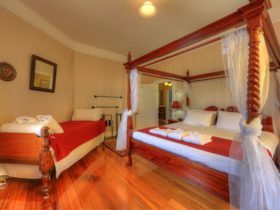 There is a queen size bed with mountain views and private balcony, the kitchen, dining area and bathroom is downstairs. Divan couch is adaptable for extra guests if necessary downstairs in living/kitchen area.